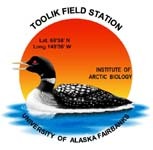 » Quadrats were harvested for aboveground biomass from eight plots within a tussock, watertrack, and snowbed community at 3 sites - acidic tundra and nonacidic tundra near Arctic LTER Toolik Plots and acidic tundra near Sagwon,Arctic LTER 1997. Plots were established in homogeneous vegetation in each of the communities at each site. Slope and aspect were as consistent as possible across the site locations. Eight 3 x 3 m plots were established and the corner of focus was chosen randomly. For harvest, a 20 cm x 20 cm quadrat was placed 20 cm away from the corner edges and all aboveground plant material was harvested. In the lab plant material was separated into lichen, moss, and vascular species. Lichens were separated to genus. In 4 quadrats at each community within each site, mosses were separated by species. In the other 4 mosses were lumped for total biomass only. Vascular species had belowground material removed, and were divided into current year?s growth and old growth. Harvesting and separating were conducted from 25 July through 1 August, 1997. All specimens were dried for at least 48 hours at 60 degrees C and weighed. Samples were then returned to Woods Hole, Mass. for nutrient analysis. Supplemental Harvest (see 1997lgrarespbm.txt): In addition to the above harvest, a separate harvest was conducted in order to determine productivity of rare species not found in at least 4 quadrats per site. These species were selected based on the species measured for leaf level photosynthesis in summer 1997. A 1 m^2 quadrat with 20 x 20 cm areas marked off was used to determine visual percent cover of each of these species within the 9 m2 plots. Subsequently the same quadrat was placed on an area outside the plots, percent cover was estimated, and all aboveground biomass of the targeted species was harvested. This was done 4 times at each site/community for each species. The plant material was then processed in the same way as the other harvest. Version 6: Taxonomic coverage data updated. Metadata updated to newer form (with sites sheet). CH March 2013.